For students: Students of English literature can participate in various discussions going on in the forum. They can share and exchange their ideas and opinions on various literary topics with others and gain knowledge and enhance their understanding about the topics - according to the various periods in English literature history, according to the schools of writing, about the various critical theories and so on. For NET aspirants: The students who aspire for UGC NET English literature examination can get a lot on the forum. They can get tips, expert opinions and also valuable feedbacks on which books to study and which ones to avoid. There is a dedicated discussion board for the NET aspirants. For professors and teachers: The literature forum offers a badge of literature expert to scholars and enthusiasts who want to volunteer and share their knowledge with others. 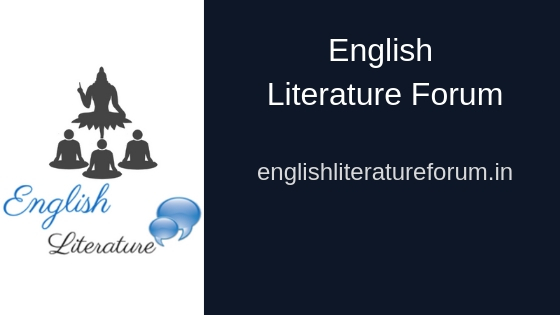 If you are a professor or a person with a deep knowledge of English literature, you can join the forum team and help students and others with their problems related to literature. What else do you want? Go join the board now!